If we have the genuine grateful heart; how fortunate I am to have the name of Krsna, how fortunate I am to have the ultimate gift cleaning this floor, it is Krsna’s floor, in the spiritual world the goddess of fortune is longing to clean Krsna’s floor, by Srila Prabhupada and the vaishnavas mercy, I am allowed to do that work; if you have this consciousness, you will experience bliss; you will experience Krsna with every grain of dust you pick up from the floor. And we understand how fortunate we are to associate with devotees; let me serve them & you will see the glory of every Vaishnava and feel bliss. We should, within our heart, have gratitude, we should feel the fortune of causeless mercy descending upon us in every aspect of our Krsna consciousness and you will reciprocate by performing your service at every level with enthusiasm, with great attention. If you put half your heart into your service, Krsna will put half His heart into giving you the result. If you put your whole heart in whatever service you are performing, Krsna whole-heartedly bestow His mercy upon you. This is what Krsna is speaking. He reciprocates with our surrender and if we understand this principle very carefully then we will be happy in Krsna consciousness. Our body is like Cintamani Stone, fulfiller of our desires. If one uses his body in serving others with whole heart, in turn Krsna reciprocate him with whole heart. Very nice explanation. All glories to HH Radhanatha Svami Maharaja. Simply reading this article attentively will fill one with bliss what to speak of applying the principles in it. 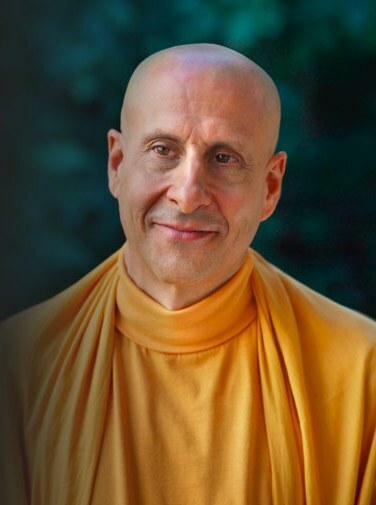 Thank you Radhanath Swami for filling our hearts with so much joy!